Open Tapestry provides tools to enable users to author resources and create and share modules, or tapestries, from existing content. The system also has some repository-like aspects in that it searches open content repositories, harvests metadata and enables users to upload resources. Open Tapestry pulls in all types of resources at different levels of granularity. There are currently around a million resources, mostly aimed at higher education, however Open Tapestry has also worked with online high schools and a few primary grades. While Open Tapestry encourages use of open content, but users are also able to create closed instances for their own organisations. 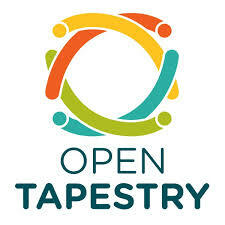 Open Tapestry is a custom platform built on Ruby on Rails. The platform uses a number of open source libraries and about ten APIs, but is not currently open source itself. The code used to detect and parse open licences is based on Open Attribute, and Gem is used to interact with Canvas. Open Tapestry supports IMS LTI to facilitate learning management system integration. This allows users to manage content outside the LMS and then present it inside the system. Open Tapestry harvests metadata using OAI PMH, web crawlers and RSS harvesters. The application tries to be as inclusive as possible; any format of metadata that is found, e.g. Dublin Core, LOM, LRMI, will be parsed and stored internally. This internal metadata can then be transformed into any number of other formats. The system also facilitates some cross walking. All harvested metadata is retained and users are able to add to that metadata. A small number of vocabularies are built into the system, e.g. licence. The metadata that exists for any given resource depends on what has been harvested, or created by users, however if a page has no metadata, Open Tapestry will produce basic fields used for indexing and searching. Open Tapestry has two main levels of content granularity; resources and collections (tapestries) and metadata is applied at both of these levels. Collections can be combined from multiple sources and metadata is provided for each source. Open Tapestry has fields for all LRMI elements but to date, users have tended not to fill them in. One way to encourage greater adoption of LRMI suggested by Open Tapestry is to focus on providing targeted search for a particular audience or usecase e.g. learning management systems. LMS are currently grappling with how to integrate openly licensed resources with closed content and LRMI could potentially provide a solution to this problem. Open Tapestry does not share metadata records with the Learning Registry as the system is primarily a metadata aggregator, very few new metadata record are produced by Open Tapestry. One significant issue surfaced by Open Tapestry is how to track metadata assertions as resources, and metadata records are edited and aggregated. This is particularly important for derivative works, where it is necessary to keep track of entire genealogies of who is making the assertions recorded in the metadata. While cataloguers are aware of the necessity of creating and maintaining high quality metadata, content creators often have low awareness of the importance of metadata until they have a problem, e.g. concerns about who carries liability for a resource or assertion. Technical solutions are required to address this problem. This entry was posted in cetis, lrmi, oer and tagged cetis, lrmi, lrmi implementation, metadata, oer. Bookmark the permalink.